In this episode of The Woof Meow Show from March 28th, 2015 Kate and Don talk with Dr. Munzer about traditional Chinese medicine and acupuncture and how it can be an excellent complementary therapy for pain management, skin issues, seizure disorders and many other issues. 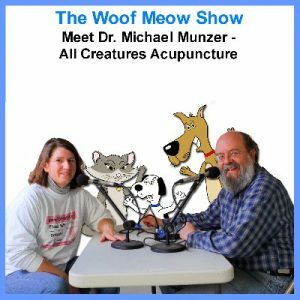 In this episode of The Woof Meow Show from April 4th, 2015 Kate and Don talk with Dr. Munzer about how and why he became a veterinarian and his current practice based out of Bucksport. Using a carrier is the safest way to transport an animal from your home to another location. I would particularly discourage anyone from transporting a cat that is not secured in a carrier. No matter how well behaved your cat is, if you are in an accident your cat will be terrified and will do everything they can to get away. Unfortunately, most cats only see their carrier moments before they are forced into them to be taken on a car ride, usually to the veterinarian, groomer or boarding kennel. Often the end result is a cat that runs and hides the minute they are aware of the presence of the carrier. Finding and extracting a cat from a hiding place without getting scratched or bitten can be a prolonged and stressful process; one that is terrifying for your cat and frustrating for you. Wouldn’t your cat be happier and your life significantly easier if your cat enjoyed their carrier and perhaps even walked right in? Getting there is not as complicated as you might think. So how do you get your cat to like their carrier? Make sure that your cat finds the carrier to be comfortable – By itself, a plastic carrier is not going to be the most comfortable place; however, you can make it quite posh by inserting a blanket or a pillow that your cat already enjoys. 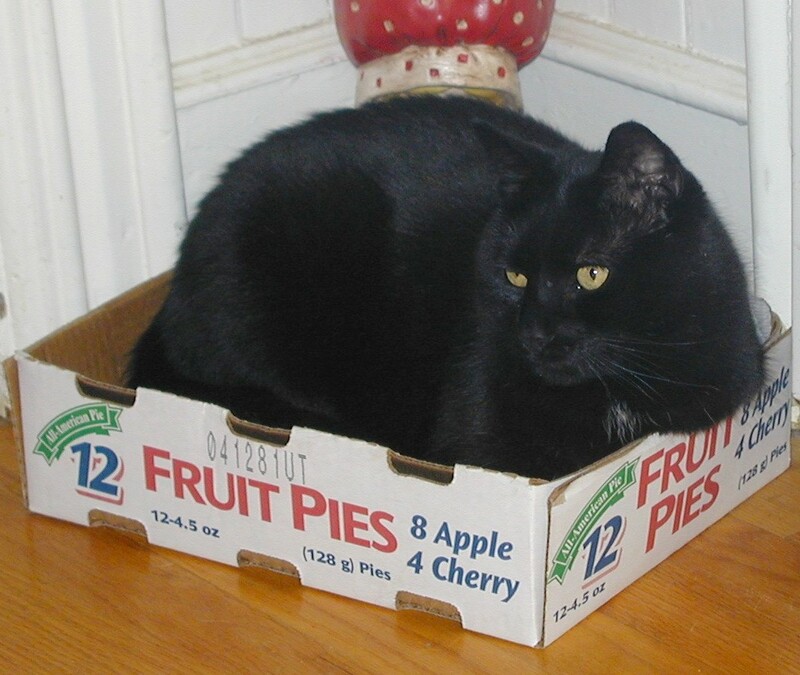 Leave the carrier out so that your cat can explore it – If your cat is like most cats, they love boxes, bags and other things that they can explore and hide in. 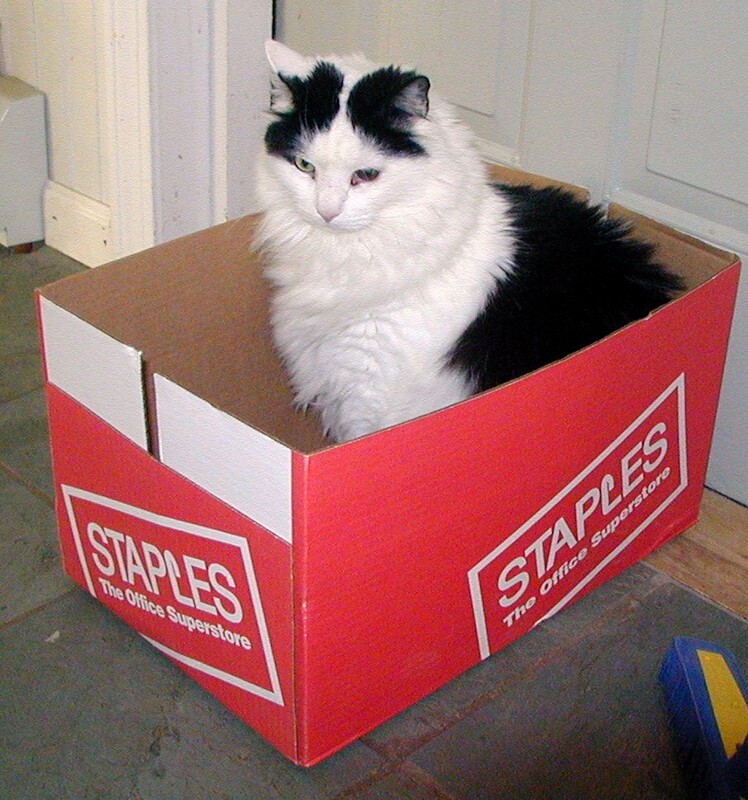 Take the door off your carrier and place the carrier in an area that your cat frequents. Do not try to coax the cat into the carrier, let them explore it if and when they are ready. To make the carrier even more rewarding, put a small dish with a tablespoon of your cat’s favorite canned food or some favorite treats at the back of the carrier. Now getting in the crate will be very rewarding. If your cat has favorite toys that they will chase and catch, toss a toy in the carrier and let them go get it and play with it. If your cat is hesitant about the carrier talk to your veterinarian or favorite pet care provider about Feliway®, a feline pheromone which has a calming effect on cats. Put the door back on the carrier and practice carrying your cat – Put the door back on the carrier and continue to reward your cat for going in and exploring. After they are used to the door being back on, toss a treat into the carrier and after the cat goes in gently and quietly close the door, wait a few seconds, open the door and wait for your cat to come out. Repeat this a couple of times per day until your cat is used to hopping in and out of the carrier. When this becomes routine, close the door, pick the carrier up, hold it for a brief period and set it back down. Practice this for several days and then start carrying the cat around in the carrier. Eventually get to the point where you can get the cat in the carrier, carry them out to the car, and then immediately bring them back inside and let them out. Use the carrier to transport your cat to the vet or kennel – Many cats do not travel well and may get car sick. Make sure your cat’s favorite blanket or towels is in the carrier and if you have some Feliway, spray it on the blanket a good thirty minutes before getting the cat in the carrier. Secure the carrier in your car so it is not thrown in case you need to stop fast, and cover the carrier with another blanket to limit visual stimulus. When you bring your cat back home leave the carrier out and continue to reward them for its use. With this little extra time and attention your cat can soon be an expert traveler. The time spent today helping your feline friend adjust to liking its carrier will pay off immensely in the future when it comes to getting your cat where it needs to go. 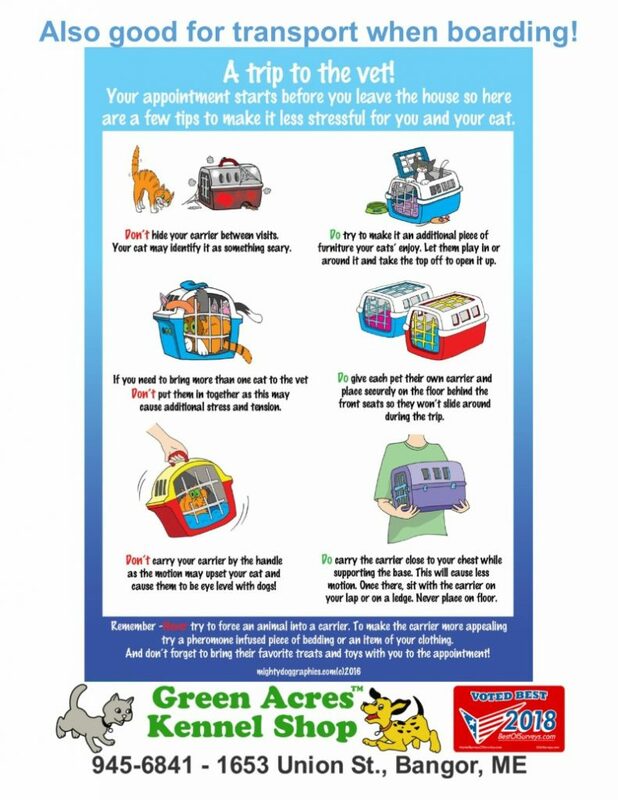 This great infographic from our friends at MightyDogGraphics can serve as a reminder as to how to get your cat prepared to travel. You can download the graphic as a PDF file by clicking on it. Pet Health & Wellness – What Is Canine Cough? Canine Infectious Respiratory Disease Complex is highly contagious to other dogs. It can be transmitted through the air from one dog to the next or by contact with contaminated objects such as a common water dish at the dog park or in front of a dog-friendly store. Sitting next to an infected dog at a vaccination clinic is all it may take to catch canine cough. It’s basically transmitted the same ways as the “common cold” is transferred from one person to another. Just like people that work with the public, or like school children, the more dogs your dog associates with, especially those that are unvaccinated, the greater the opportunity to contract canine cough. That’s why the canine cough vaccine is often recommended for dogs that; frequent the dog park, attend daycare, are boarded or groomed, are in a training class, go to dog shows or dog sport events, visit the veterinarian frequently, or are just around lots of other dogs. Most boarding kennels, daycares and training classes require guests to be vaccinated for CIRDC. The most typical symptom of canine cough is a persistent dry cough that almost sounds as if your dog is “honking” like a goose. When we adopted our dog Shed from the Dane County Humane Society many, many years ago, she started showing the symptoms of canine cough in a few days. I remember waking up in the middle of the night to the sound of a flock of geese “honking” under the bed. 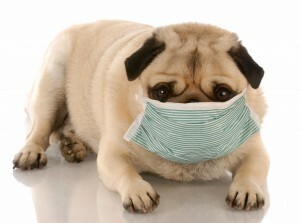 Most of the time your dog will appear healthy except for the cough. They’ll eat normally and will still be active. They may gag and produce white foamy phlegm. 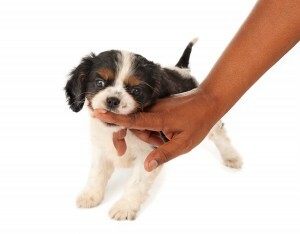 Exercise and pressure from their collar against their trachea (from pulling on leash) may cause a bout of coughing. If your dog is coughing repeatedly it’s a good idea to take them to the veterinarian. While canine cough often resolves on its own, there are several other infections, as well as cardiac issues, that cause coughing, which can be fatal if not treated. Pneumonia can result as a secondary infection to canine cough. Typical treatments for canine cough include a cough suppressant, and possibly antibiotics as secondary infections can occur from canine cough. It is also essential that you keep your dog away from other dogs while they have canine cough so that they do not spread the disease. There are different types of vaccines for canine cough/CIRDC; however, because there are so many infectious agents that can cause the disease, a dog can be vaccinated and still get the disease. The vaccines do often reduce the severity of the disease. Vaccines can be injectable or given orally or intranasal. Dr. Ronald Schultz (Professor and Chair of the Department of Pathobiological Sciences at the School of Veterinary Medicine at the University of Wisconsin-Madison) recommends that dogs that will be around other dogs be vaccinated annually with the intranasal vaccine which immunizes against Bordetella. Since the normal path of infection for these diseases is via the respiratory system, Dr. Schultz feels the intranasal approach, which immunizes via the respiratory system, is the most effective way to administer this vaccine.